The Uniden PRO505XL is the latest addition to Uniden's family of compact CB radios. It is similar to the PRO510XL and PRO520XL in both size and features. It was built with the same idea of a compact design with minimal features, but with updated style and controls. The ultra-modern European styling of Uniden's PRO505XL CB radio will please even the most discriminating CBer. 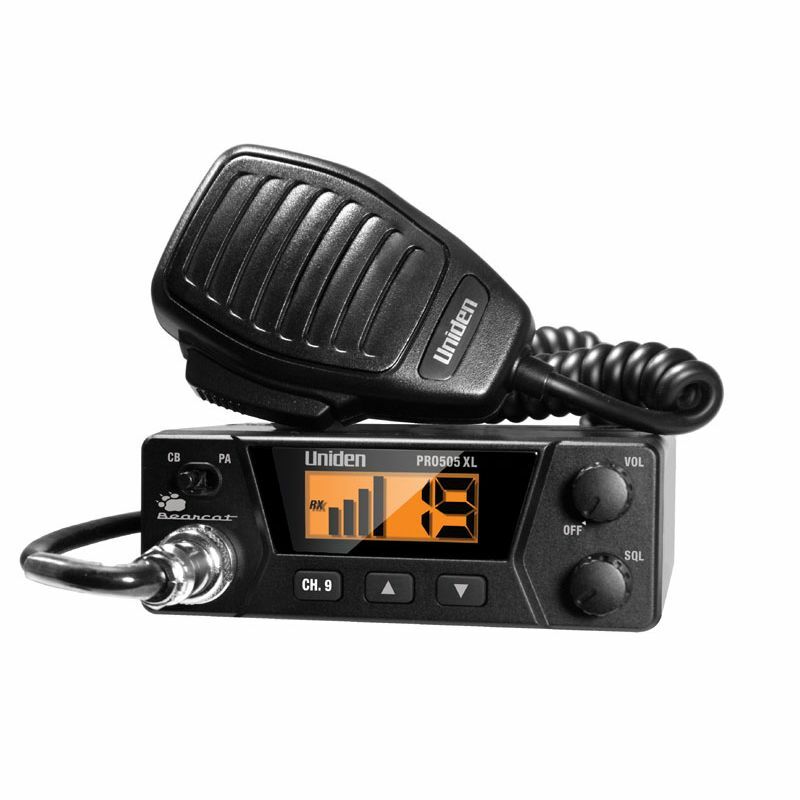 Enjoy communicating in style with the PRO505XL a sleek, compact radio with a simple, user friendly layout that is easy to mount in almost any vehicle. Size: This radios measures 1 3/4" H x 4 7/8" W x 7 1/2" D.
Please note that this radio does not have a built-in SWR meter. You will need an external SWR meter (like the AUSWR) in order to tune your antenna system for optimal performance.